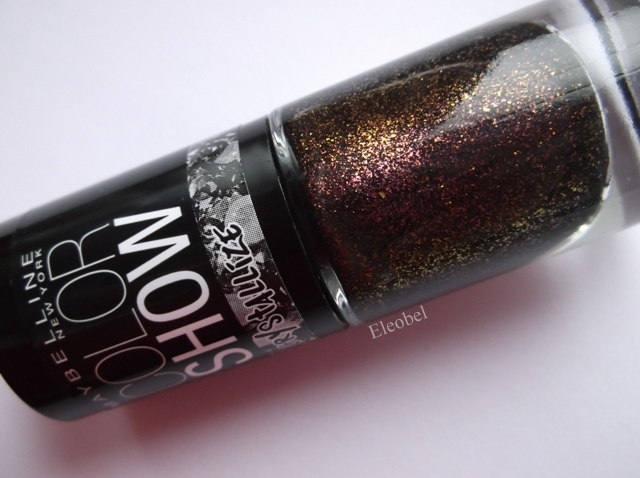 Maybelline Foil Flash is part of the Brocades collection and is a fine silver glitter with larger silver glitter pieces in it too. 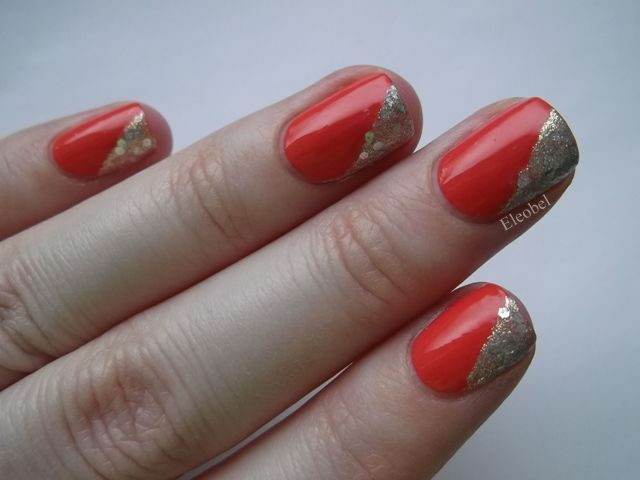 The fine silver glitter has a yellow/gold flash in some light so I wanted to pair it with this orange Sinful Colors, called Oh Lala. I thought the yellow/gold flash might look nice with the hot orange. I also wanted to try something different, I’ve been doing alot of accent nails and wanted to use two polishes but in another way. I used striping tape to tape off the corner of each nail and then painted the Maybelline on just one corner. The lines are a bit crooked but I still liked the overall effect. I think in future I’d try this look with a smoother glitter or a creme to get a crisper line but I liked both polishes together so I’m happy with it. Today I’m wearing Rosy Rosettes, it’s part of Maybellines Brocades collection. 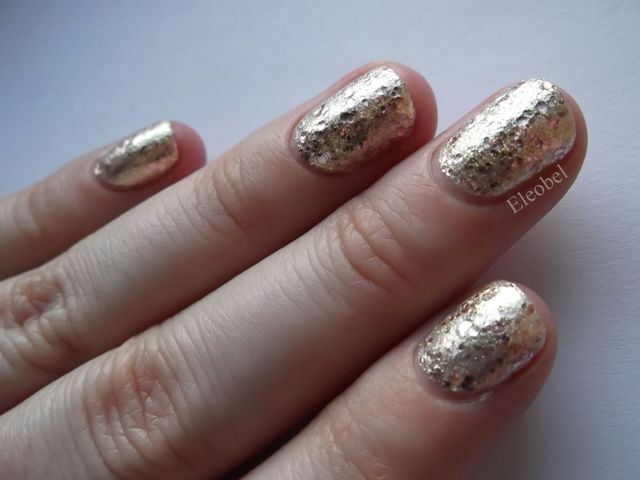 I’ve already blogged about another polish from this collection, Knitted Gold and so far, I’m loving this collection. If you like a bit of sparkle, I think you will too. This polish has a metallic pink base and gold shimmer in it, and mixed in with that is (alot of) small and medium sized pink glitter. It looks like I put on a metallic pink polish, and then layered a gold shimmer over it, and then added pink glitter to that, but it all came out of one bottle. I loved the end result. 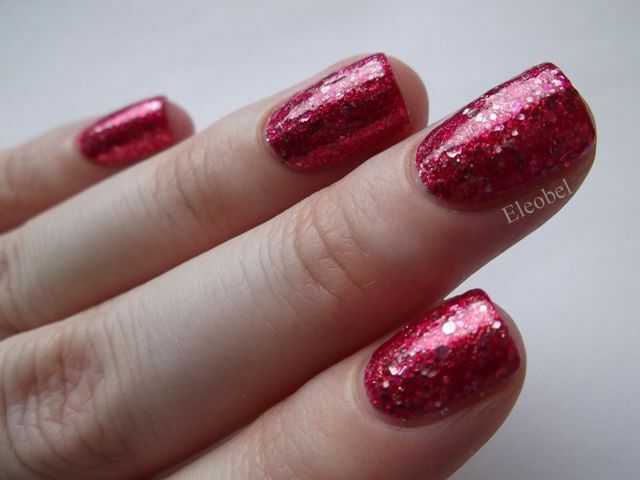 I will say that I bought this polish a couple of months ago and when I did, it looked perfect but the polish has become very thick since then and some of the pink glitter lost it’s colour. That’s why some of the glitter in my pics look silver, it should be pink. It’s possible I left the bottle open and some of it evaporated or I got a bad bottle. However, even with the thicker formula it went on really easily and still looked great. This is two coats over Essie Millionails. I used a coat of Catrice High Shine Quick Dry topcoat to dry it quickly and then added Nails Inc Gel Effect topcoat to smooth it over and then added a coat of Essence Gel Look topcoat because it still looked a little lumpy. 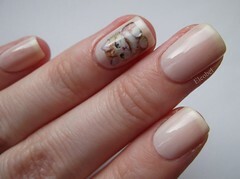 Today I’m wearing the most beautiful nail polish! It is so shiny and reflective. 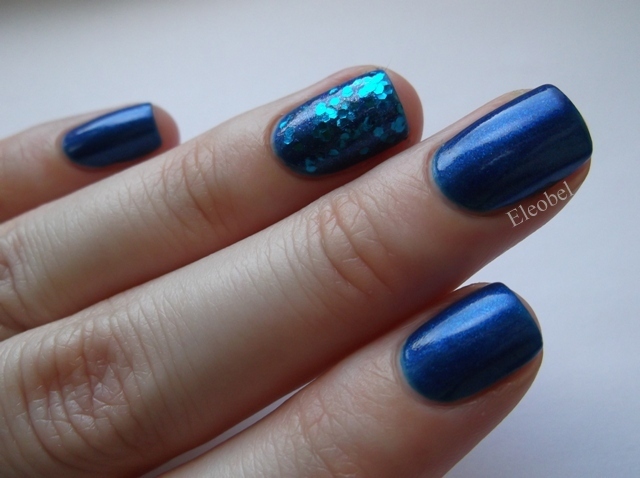 I mentioned in my 7 Deadly Sins tag, that the one nail polish I really wish I owned, was Lacquistry Amazeballs. 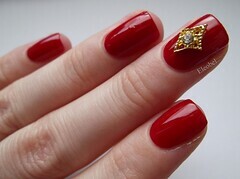 The reason I want this polish so badly, is because it is a super blingy, Minx-type-effect, nail polish. Well, this is the drugstore version. Yay! It isn’t super smooth, like Minx, or all one colour, like Amazeballs, but the light it catches is amazing! In every type of light, my nails glowed! I was so happy with this purchase! I wore this polish for days and loved every second. It is made up of very small, yellow gold glassflecks and larger rose gold glitter. This is three coats of polish, topped with one coat of Seche Vite. After three coats, you get a solid yellow gold glow but the addition of the pink glitter makes it far more interesting and girly, because it also catches the light and sparkles. 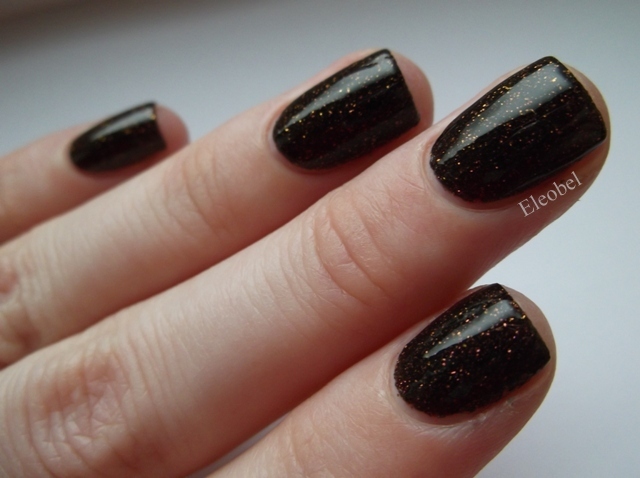 This is immediately one of my favourite nail polishes of the year so far. Hope you like it too! The yellow gold glassfleck is so blinding above, that I want to show you a pic of the bottle too, so that you can see all the lovely pink glitter. 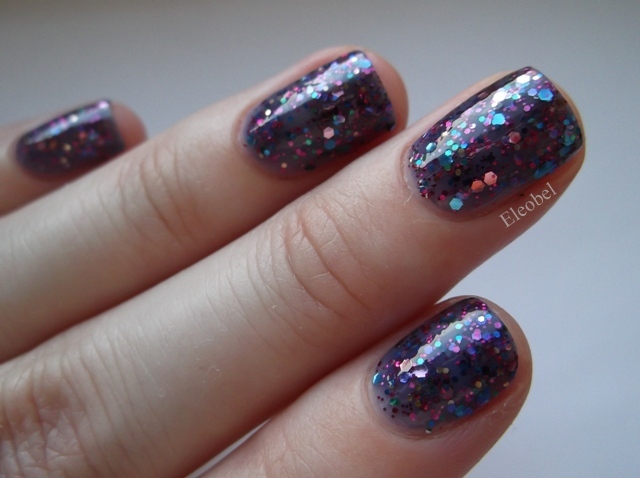 What do you think of this type of glitter?